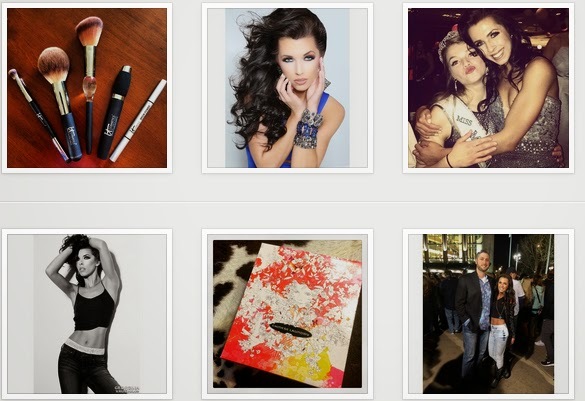 Critical Beauty: CB Loves TAHNEE PEPPENGER - Miss Montana USA 2015! 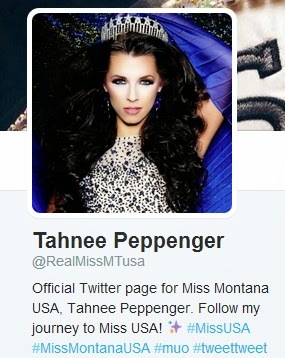 CB Loves TAHNEE PEPPENGER - Miss Montana USA 2015! I have not seen “50 Shades of Grey.” Quite honestly, I don’t think I’ll be putting forth much effort to see it. It just isn’t something that interests me. I have very limited down time these days and I want to occupy it with the things I love, like team roping, cooking, and family! I have heard strong, conflicting reviews of it so far, so I’m confident it is viewer specific. I hope everyone else is enjoying it! In the next life, I would come back as a Quarter Horse. I have been obsessed with horses since I first laid eyes on them, which was 6 months old. Not only do I deeply respect these animals and enjoy what they offer humanity, I would love to experience their power for a day. Absolutely. Although I am a sucker for designer shoes, there is more to life. 1. I would never eat a jar of sauerkraut. 2. I would never give up coffee. 3. I would never compromise my values or integrity for someone. I do not believe that “sexuality education” should be a part of elementary school curriculum in America. One’s sexuality is a very intimate and personal discovery. Our educators serve a great purpose in America’s future, but they have no place in determining a child’s sexual orientation. The individual and those closest to he or she should guide and support this kind of discovery. Furthermore, how are to expect a child to affirmatively determine their sexual orientation when that haven’t even fully matured physically, mentally, and hormonally? Let’s let our kids be kids and support them in their full development, not just their sexual. I envision myself a mother and a wife in five years. I also envision having a well-established career choice and a greater confidence in what I will contribute to my state and country. With aspirations to serve my country, I will have determined, by then, whether public service or military service will achieve this goal. First, I would consider the source and the circumstance. Often, emotionally charged statements are a result of defeat and disappointment and understandably so. 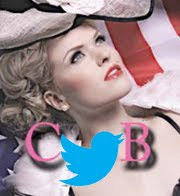 Second, I would kindly express my apologies that she felt that way and continue on with my duties as Miss USA. Our naysayers are always our greatest source of motivation and clarity. I find it far more fulfilling and logical to focus on those that choose to support you. Put your energy into those that love you and you will prosper. My dream man is a man of strength, love, and humility. He is a God fearing man, a man of faith; a man who will lead me and allow me to be a woman in all my grace, strength, and beauty. He is a man of integrity and respect with a strong work ethic, who respects me and loves me for who I am, imperfections and all. Isn’t the point of a blind date to not know your company? But if I could have a not-so-blind blind date, I would go on a date with my grandpa. He is the apple of my eye, and I, his. A girl can never have too many dates with her grandpa. 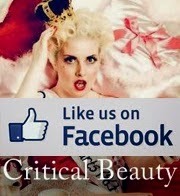 I have not had any cosmetic surgery or any other alterations to my appearance. I have 2 new ACLs in my knees that left some neat scars. Does that count as altering my appearance? Haha! I believe that each pageant/ pageant system reflects the women it attracts. 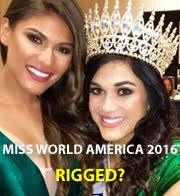 If synthetic flawlessness is a distinct characteristic of Miss Venezuela, and women continue to vie for the title, then those expectations are reasonable and genuine for those women. 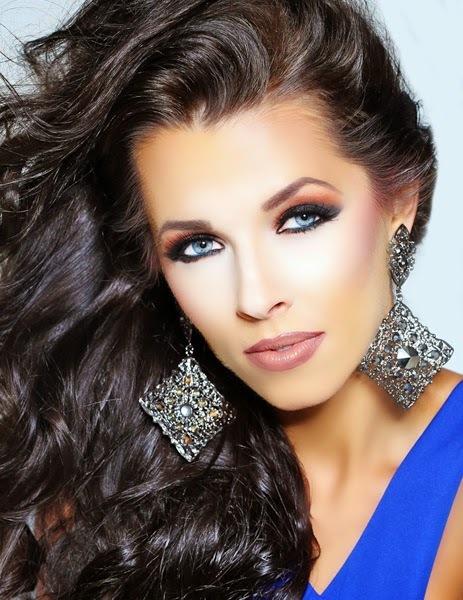 I believe Miss USA advocates a message of beauty and strength which speaks to my goals and reflects the woman I am. Hence, why I am happily competing for this prestigious title! I am proud that the USA still stands as a beacon of hope for oppressed countries around the world. Terrorism and tyranny plague this world and those living among such desolation and despair need world powers, like America, to continue fighting for basic rights and the welfare of humanity, stateside and abroad. Despite contradicting sentiments towards the United States, I am proud that we will forever defend democracy and decency in the world with little or no support. Not at all! My grandpa is a great example. He is 76 and still working full time as a Mining Engineer Consultant in Montana. Montana mining is not for the faint of heart. If the mind and body are healthy, let that individual live their life to the fullest and if that includes working, than by all means, work. Work is a good thing. It engages the mind, keeps an individual active, promotes personal pride, and contributes positively to society. No, I do not support laws to require mandatory bilingual education. Although I studied Spanish in high school and college and will encourage my children to do the same, I do not believe litigation nor lawmaking are necessary to promote diversity in education in America’s school system. FROM A SCALE OF 1 TO 10, HOW WOULD YOU RATE PRESIDENT OBAMA'S PERFORMANCE AS THE COMMANDER-IN-CHIEF OF THE UNITED STATES? In my humble opinion, President Obama’s greatest achievement thus far was continuing with and executing the Bush Administration’s quest to take down Osama Bin Laden. My definition of an ethical person is an individual who maintains high integrity and honesty in his or her conduct in all facets of life. Furthermore, this individual prioritizes these virtues above all else and executes fair treatment of others and situations always. They would learn that I have a small business called PinkSpurs, that I am a bonafide cowgirl, and that I love food! They would also conclude that I am an energetic woman who wants to have a profound impact on this world. Lastly, they would learn that I am a loyal friend with a deep love for people. Competing in pageant has enabled me to channel my confidence and intense personality into an inviting yet, commanding presence. The refinement that pageantry demands has helped me to compose my dominant characteristics into effective public relation tools.